As part of this year’s Peckham Festival, creative production specialists Footprint hosted the third in a series of talks for 2017 exploring ‘The Value of Design’. In partnership with The Society of British Theatre Designers (SBTD) an audience of creative minds spanning the breadth of the design industry convened at The Copeland Gallery, Peckham to discuss what ‘Global Local’ truly means today. The evening brought together an eclectic mix of guest speakers in the shape of leading international Urban Artist Remi Rough, and global visitor attraction specialists Merlin Entertainments, Verity Treadwell – Display and Costume Supervisor, and Simon Casey – Senior Show Services Manager. Remi, Simon and Verity then shared stories behind and insights in to their work, along with the challenges and influences that come from working both ‘Home’ and ‘Away’. 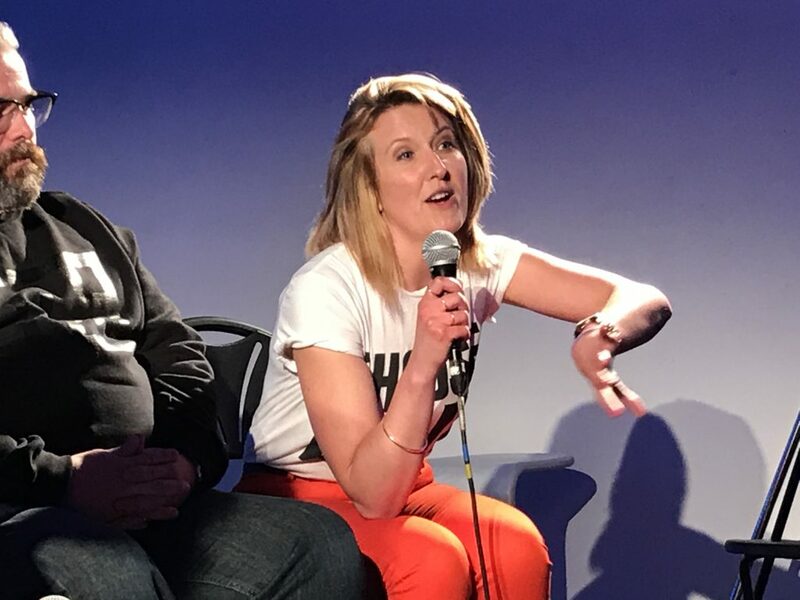 This was followed by an engaging panel discussion (facilitated by Fiona), where ‘Global Local’ was unpacked in more detail, along with inspired questions from the floor. Whether playfully incorporating the regimented windows of a European city tower block, tracing the imposing architecture of a landmark London hotel, or balancing the functional practicalities of a private home garage wall commission, Remi Rough’s signature style remains immediately identifiable, yet entirely unique to each location across the globe. Remi gave the audience a broad insight in to his work, chronologically walking us through his 2017 order book. Remi feels his international work is often more ‘accessible’, with bolder briefs and open thinking from outside the UK – but he will purposefully balance these projects with those closer to home. Speaking excitedly about a recent mini exhibition at a favourite Camberwell Waffle Cafe (squeezed in between two large international installations), it was clear that opportunity to spend time in his Peckham studio is both important in preparing his next work, and essential to the topping up of his inspiration. As Remi put it, the chance to “do something creative on my own terms, and on my own turf” is welcome respite from a busy international diary. Recently working In Residence for a gallery exhibition in Europe, Remi produced fifteen original designs ‘live’ over the period of the show, sharing his creative process with exhibition visitors. To Remi (with acknowledgement of the development work still needed before the show) this gives a welcome balance between ‘creative freedom’ and commercial necessity in a traditional gallery space away from home. Thinking ‘globally’ and adapting ‘locally’ is part and parcel to Merlin’s powerful formula. Local designers, creative companies and producers are purposefully employed to build and maintain international attractions (including the expanding family of Madame Tussauds) and bring broad skillsets ‘to the table’. However, for the consistency and quality control of their famous waxwork figures we learnt that these are created exclusively in Acton, London. Advanced technological development may offer Merlin and us all the chance to communicate, design and produce in different locations throughout the world… but the detailed craft component that so often provides the ‘magic’ to an immersive experience still largely relies on unique, human talent… collaborating together in one physical location. The world certainly feels smaller these days, and for Footprint the opportunity to engage on fabulously creative briefs across the globe feels more readily available than ever before – for now, at least (as we eagerly follow News from Brussels). We are however in agreement with our speakers that to develop the innovative thinking behind those exciting global projects (and to occasionally recharge the creative batteries), there still really is ‘no place like home’. 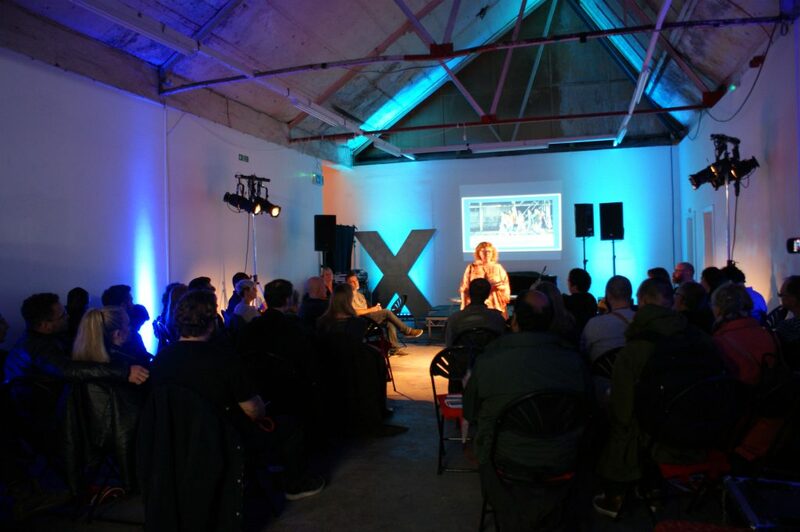 Footprint Xchange is a programme of free informal talks with leading guest speakers and an audience from creative, technology and commercial sectors. 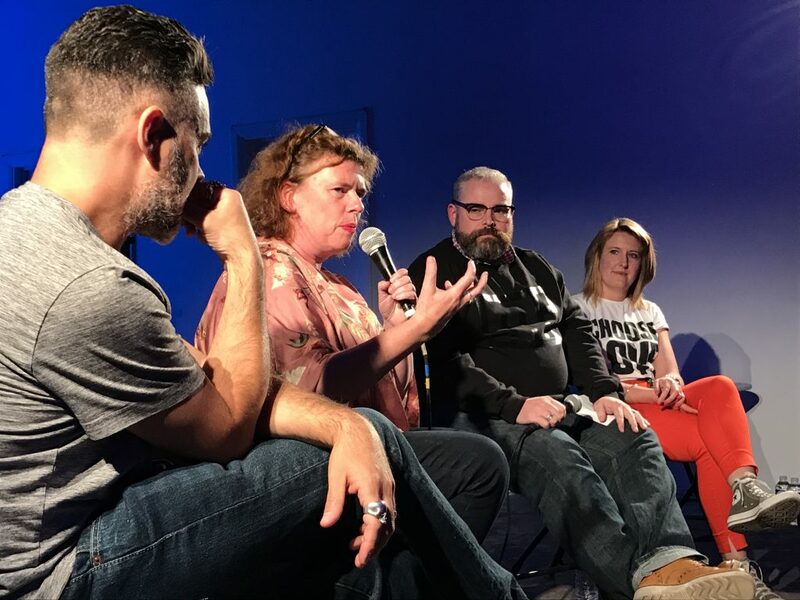 Our evenings are informal but topical, exploring the recent developments, observations, and technical opportunities that drive immersive customer and audience experience. Join us for our next Xchange in early 2018!